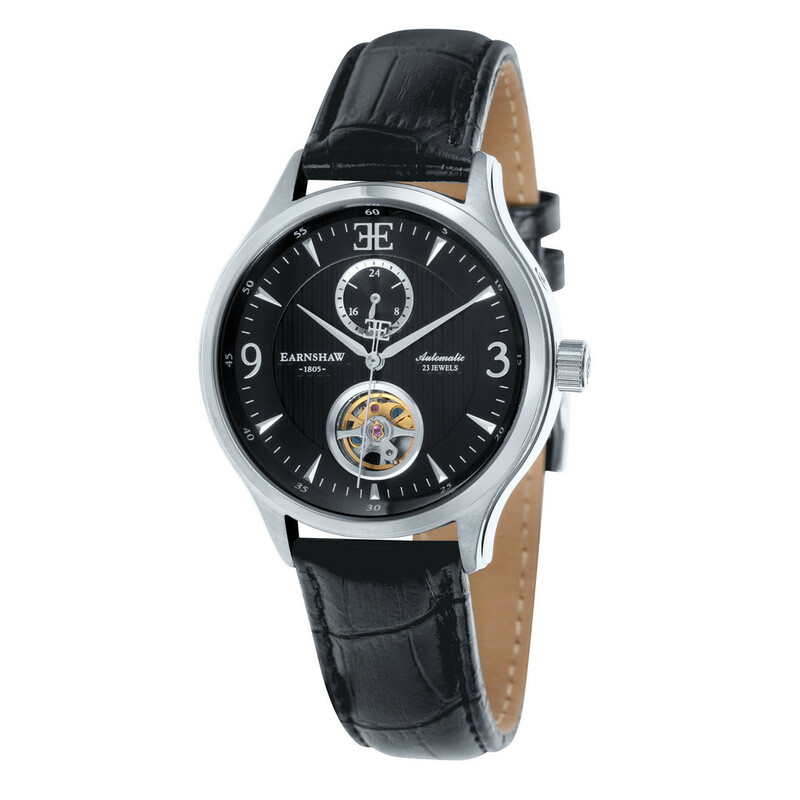 Hey everyone, today I’m taking a look at the 7 most popular Thomas Earnshaw Watches for men. 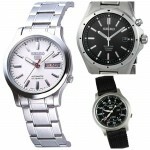 Thomas Earnshaw watches are getting more popular at the moment. They offer some fantastic designs for under £150 most of the time. My personal favourite in today’s post has to be number one. 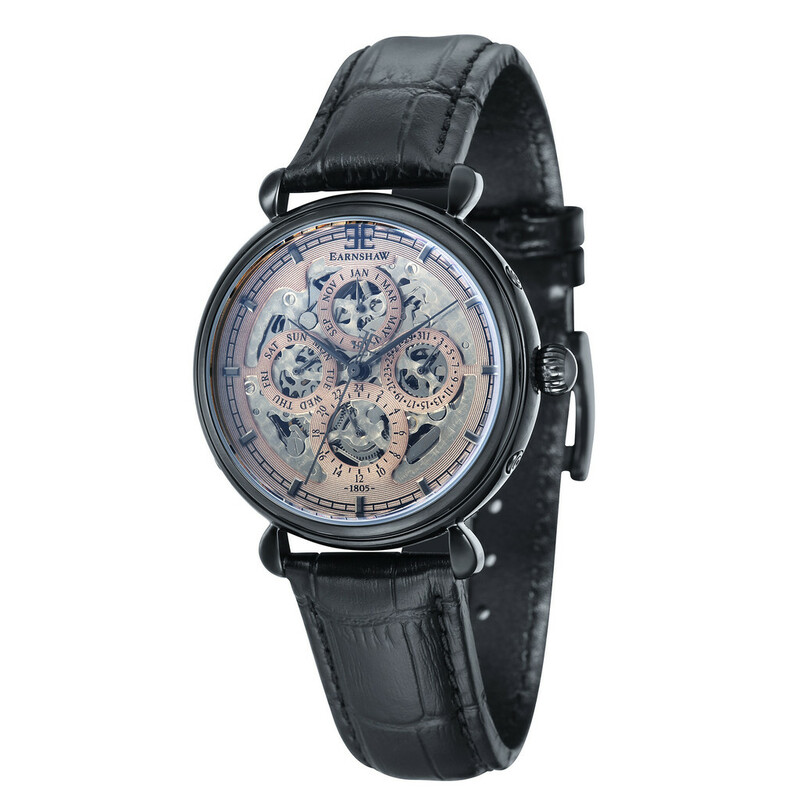 I happen to like any skeleton designs on watches and again Thomas Earnshaw have done this very well. 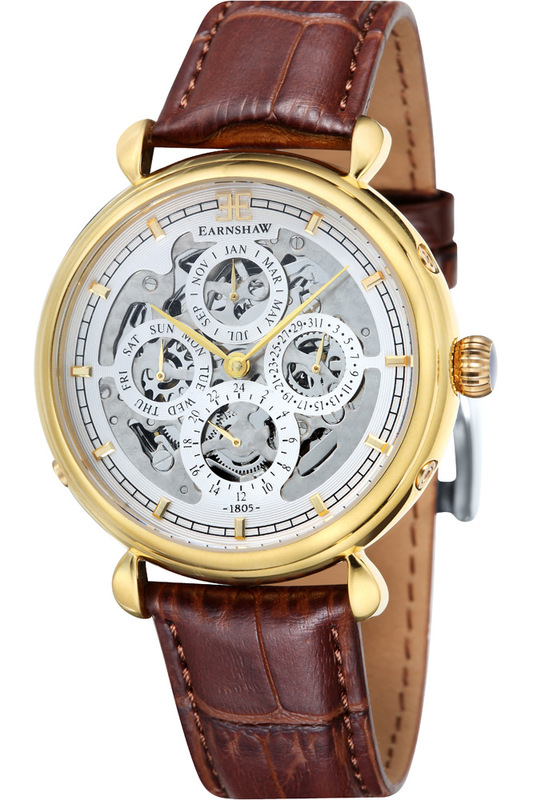 I love the design of this Thomas Earnshaw timepiece. The skeleton style dial shows off a lot of the movement and I just think the way they’ve done it is brilliant. There’s also an exhibition caseback so that you can see the movement at work from the rear of the watch. It’s powered by a self-winding automatic 22 jewel movement and has a 50m water resistance rating. This next Thomas Earnshaw Longitude watch has a nice sized 44mm casing diameter. This gives you a nice dial size with lots of the movement on show, leaving enough room for Roman numerals around the outside too. I like the 22 jewel seld winding automatic movement that can also be seen via the exhibition caseback. 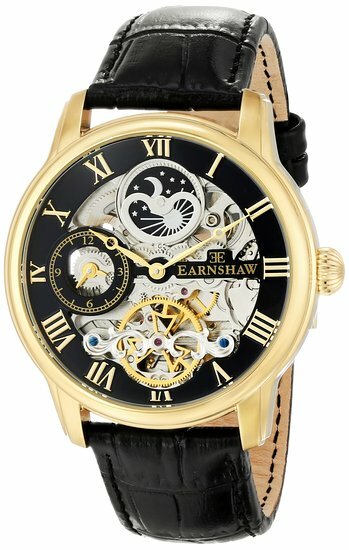 Next up is another gorgeous looking skeleton Thomas Earnshaw watch. The casing is 44mm in diameter again giving you this big display. You can see through to the inner workings of the watch through the front or rear of the watch where there’s a exhibition caseback. Powering the watch is a self winding automatic 22 jewel movement that I’m really pleased with. 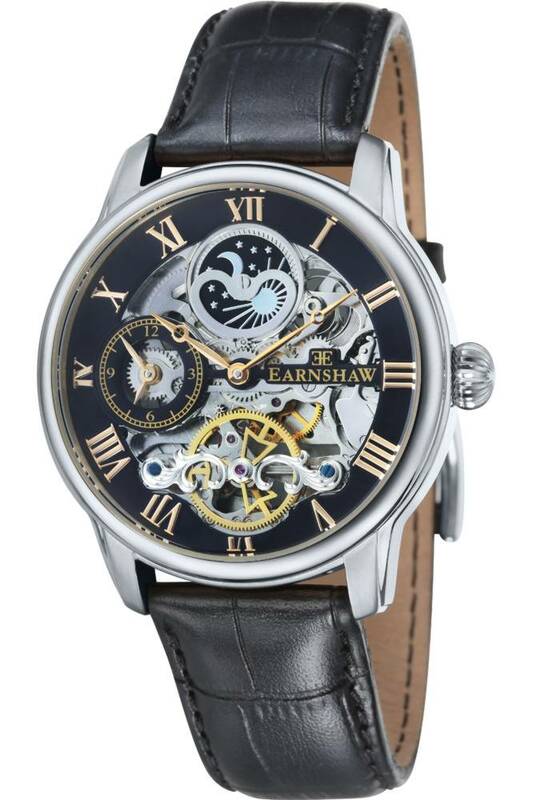 This is another brilliantly designed Thomas Earnshaw skeleton watch. The watch features an incredible self-winding 40 jewelled automatic movement that can be partially viewed from the front or viewed via the rear caseback of the watch. I really love this design. Again I really like the dial design on this Thomas Earnshaw watch. 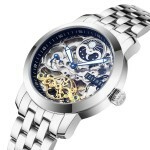 There’s a keyhole style skeleton feature that allows you to see part of the watch movement at work. Via the rear of the watch you can see the 23 jewel automatic self winding movement working away because there’s an exhibition caseback fitted. The watch also has a 50m water resistance rating which is pretty good for a sekelton style automatic watch. The dial on this Thomas Earnshaw Grand Calendar timepiece is full of information. For some people, this might be a bit too busy but when it comes to skeleton style watches like this, I think it works quite well. From the back of the watch you can take a peek at the inner workings of the 21 jewel automatic self-winding movement too. This is a bit of a variant of the previous watch we just looked at. It features the same busy style dial but overall has a much darker appearance. I personally prefer this version of the watch myself. I like the black Ion plated stainless steel casing and how well it works with the genuine leather strap. 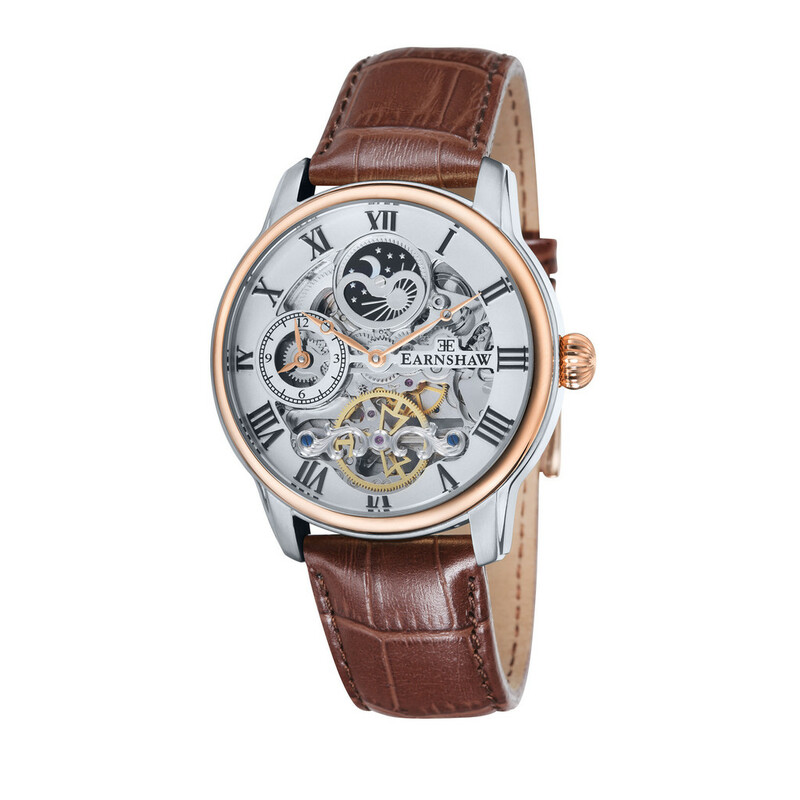 Like the previous watch this model also runs on a self winding 21 jewelled skeleton automatic movement and features a specially hardened mineral crystal glass, and a 50m water resistance rating. 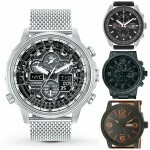 Thanks for reading, that was the 7 Most Popular Best Selling Thomas Earnshaw Watches For Men. What was your favourite? Let me know in the comments below. Skagen Watch Review – Are They Good? 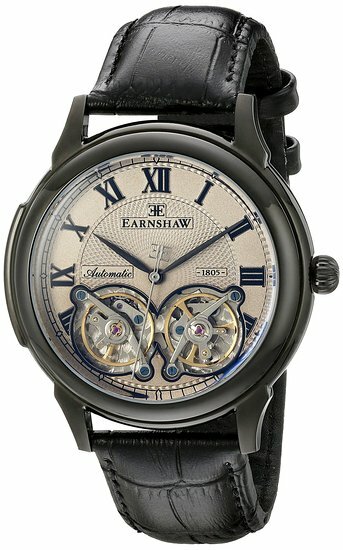 Are Thomas Earnshaw watches owned by the same company that makes Stuhrling watches? Just wondered as they look similar? Also would you do more Thomas Earnshaw watch reviews in future? They have some new models out I like the look of and want to hear what you think of them? 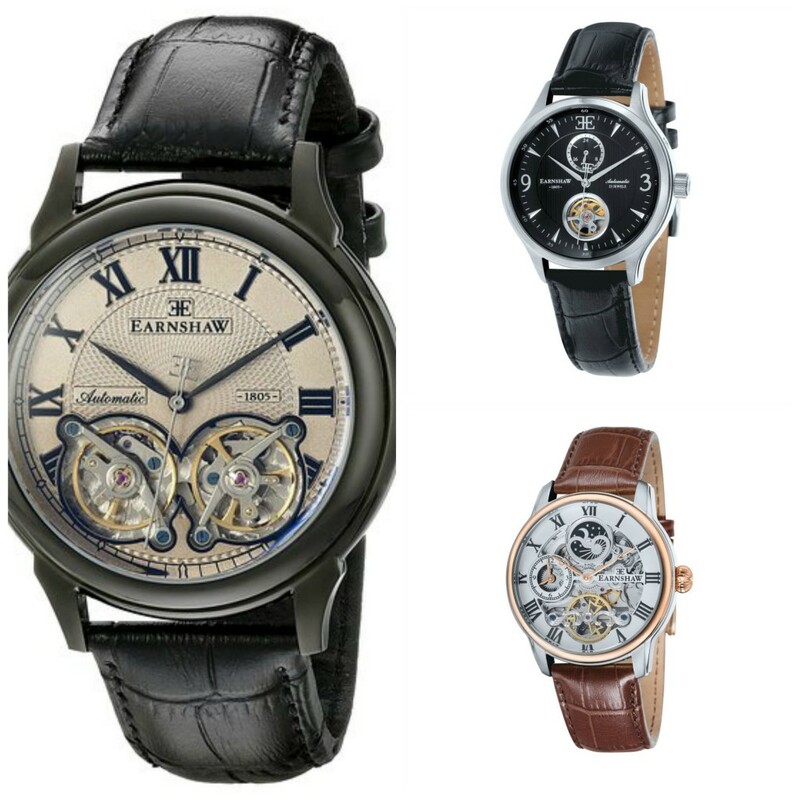 Thomas Earnshaw watches produce some of the best skeleton watches for an affordable price. They have a new model out with a green coloured leather strap, it looks fantastic.